GET A BOOK, SUPPORT SEA JUNCTION! New books given in consignment from recognized publishers with an interest in the countries of Southeast Asia including Silkworm Books from Thailand, ISEAS from Singapore and Yayasan Pustaka Obor from Indonesia. Few literature and development-related works from outside the region that have been donated to SEA Junction for the purpose of the fair. 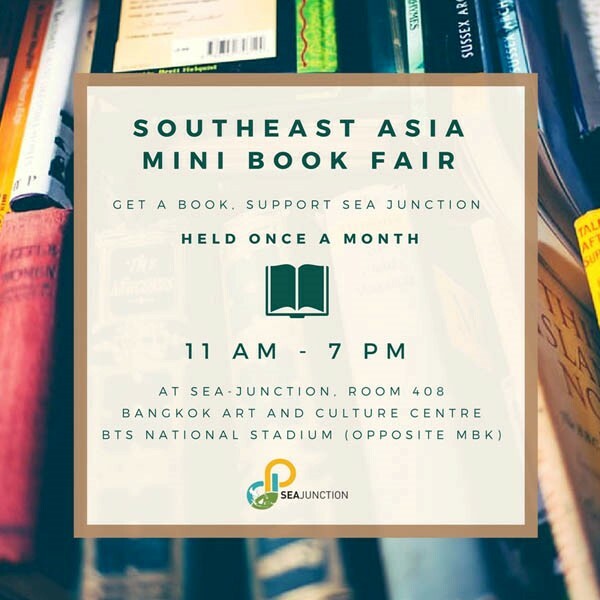 All profit from the books in consignment as well as from the donated books will contribute to SEA Junction’s functioning and activities.